Gilbane delivers design-build state of the art technology based high school in Jacksonville, Florida. 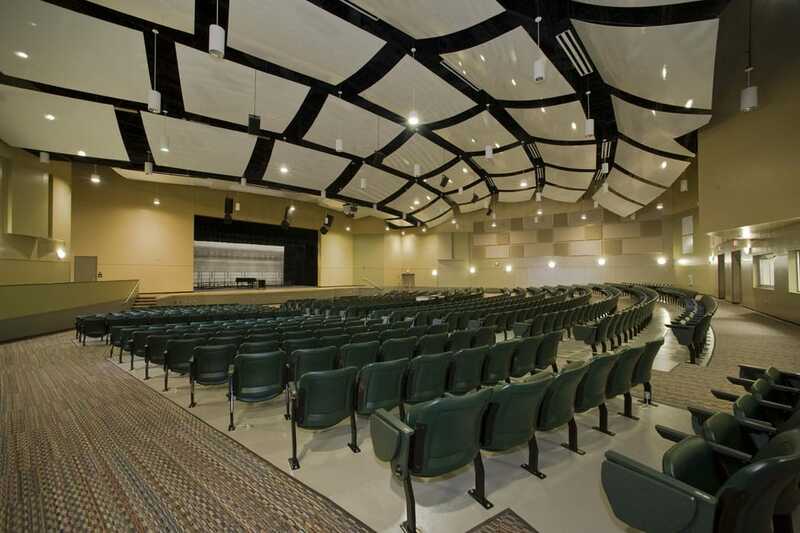 Gilbane was responsible for the design and construction of the new Atlantic Coast High School project which is situated on 100 acres of land in Jacksonville, Florida. 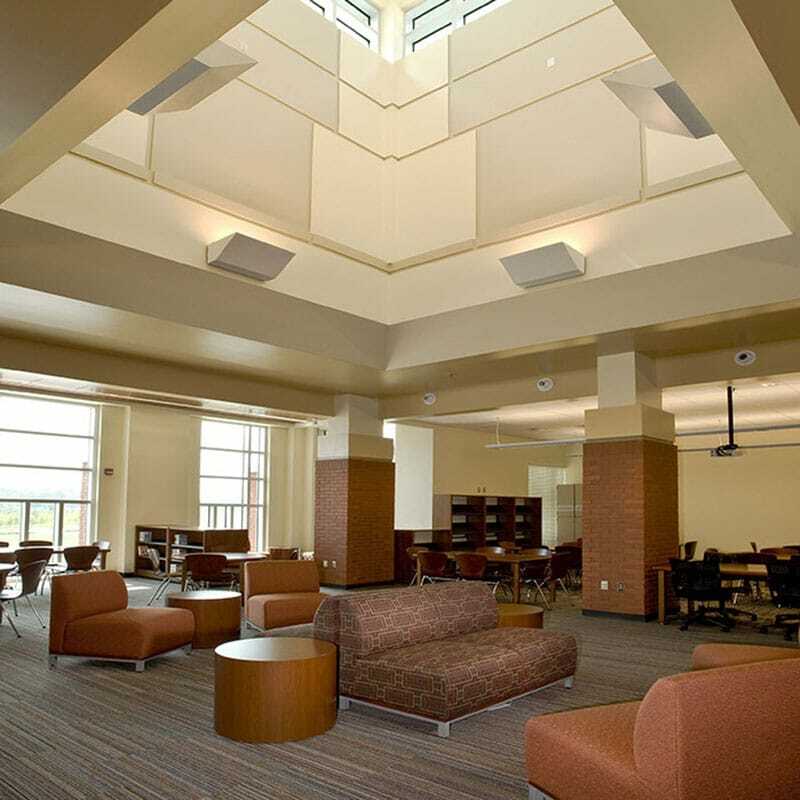 The project featured a unique design concept of a “school within a school” by design partner SchenkelShultz to emphasize the inclusion of students by breaking down large populations into smaller learning communities to improve student performance. 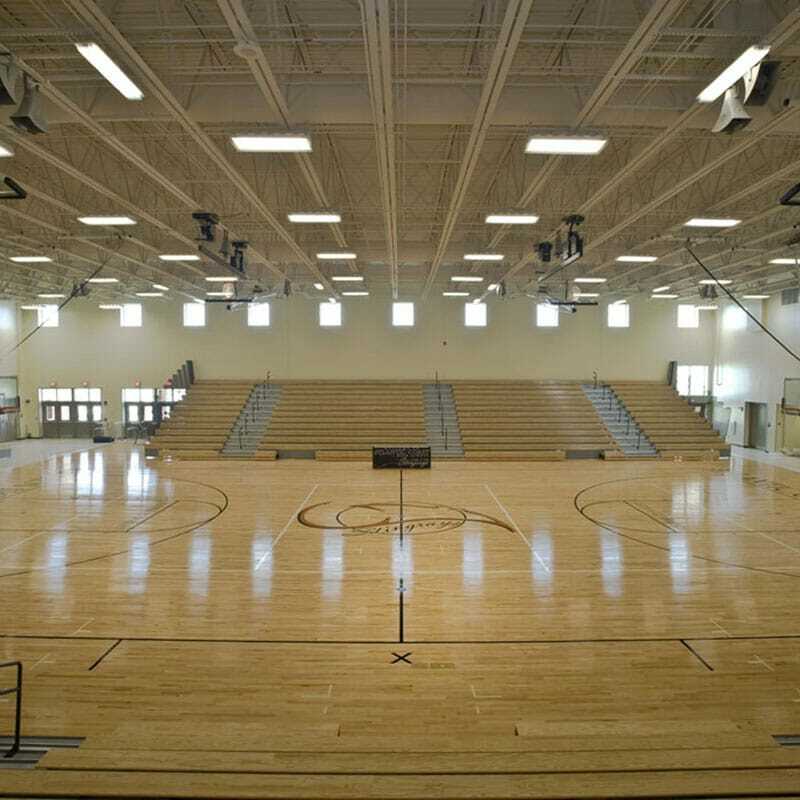 The project included classrooms, labs, galleries, food service/ dining, administrative spaces, auditorium, gymnasium, full athletic fields including a football stadium. The design featured several sustainable aspects with a courtyard centered within the main building structures to create inviting gallery spaces for functional circulation and natural lighting, as well as building automation systems for enhanced control of the high efficiency chillers and air condition systems. 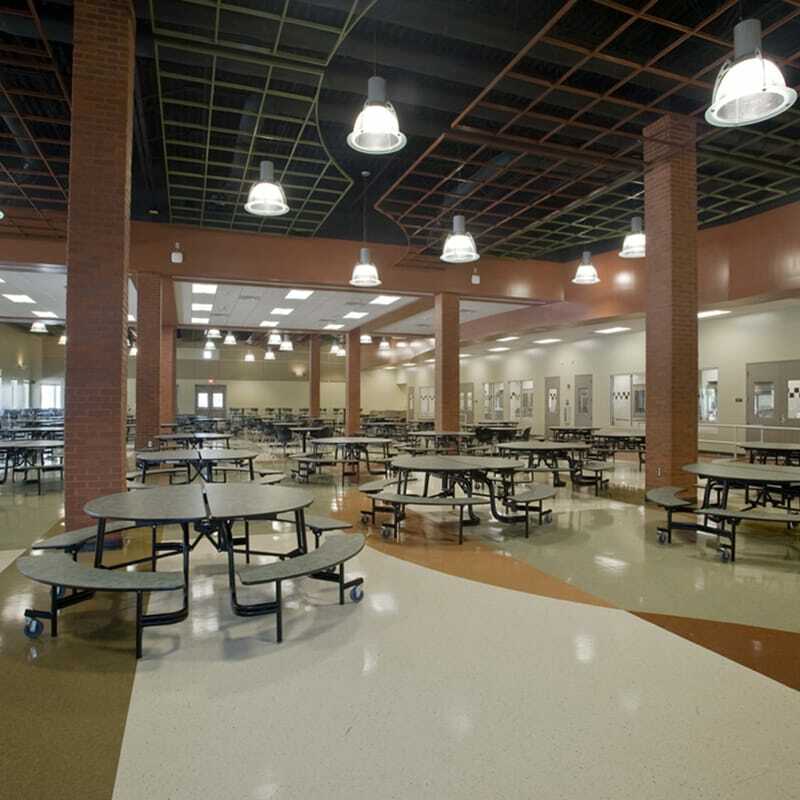 The building was constructed as an enhanced hurricane protection area to be utilized by the City of Jacksonville during emergencies for 850 standard beds and 250 special needs beds. Because the project was to be situated near a senior community, the Gilbane team held several community outreach meetings and design workshops that resulted in design enhancements to address neighbor concerns without incurring costs to the Owner. During the dry months, employment of continuously running water trucks for on-site roadways, sweeping of adjacent public roadways, enhancement of erosion protection and coordinated scheduling of the site lighting to minimize community impacts resulted in proactive measures that helped the community be part of the process and result in a positive experience with them and the owner.